I consider myself to be a Rolex purist in the sense that Rolex is my favorite overall brand. 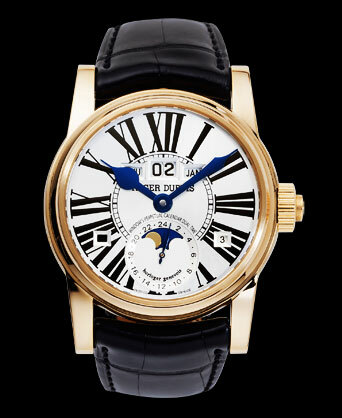 There are only two other watch companies I have ever really been passionate about–Patek Philippe and Roger Dubius. 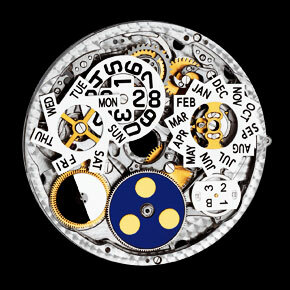 Patek Philippe is very similar to Rolex in many ways. Particularly in the sense they are very conservative with not straying very far with their design language. 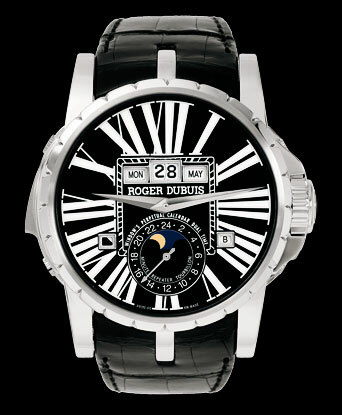 Roger Dubuis is the opposite. 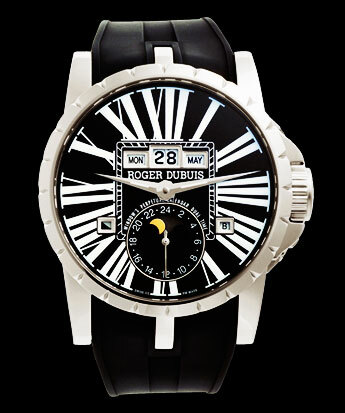 Roger Dubuis, is a real man, who was a Master Watchmaker at Patek Philippe, but he thought Patek was too conservative and not willing to experiment or stray, so Roger decided to start his own watch company in Switzerland. 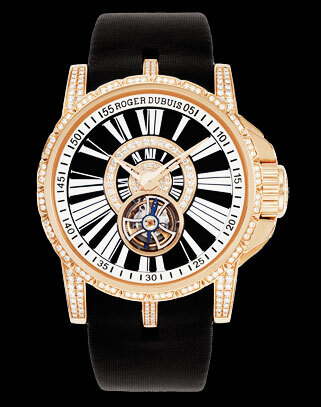 I love the User Interface design on these Roger Dubuis watches. I find the Day, Date and Month window design all in a row to be an amazing innovation because it is extremely useful and great looking–a truly perfect balance of form and function, or as Albert Einstein would say, a perfect balance of Art and Science. 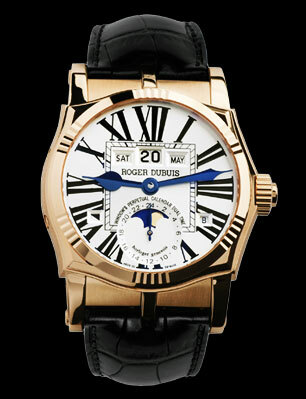 The watch model above is called the "Excalibur." Rolex stopped making Complicated watches in the early 1970s, and I don't know why? 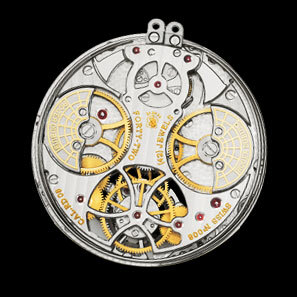 Rolex made stunningly beautiful complicated watches but for some reason they stopped. 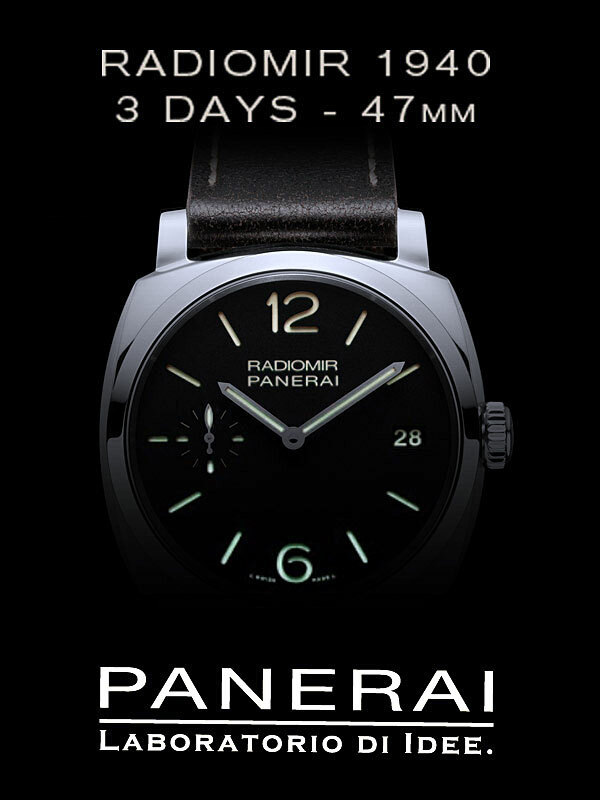 I hope that Rolex brings back the complicated watches and gives Patek a run for their money. 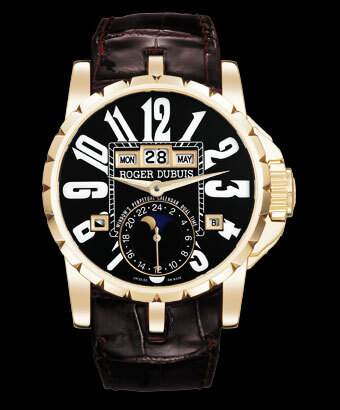 I don't say this because I wish to see Rolex compete with Patek, but because I believe a rising tide lifts all boats. 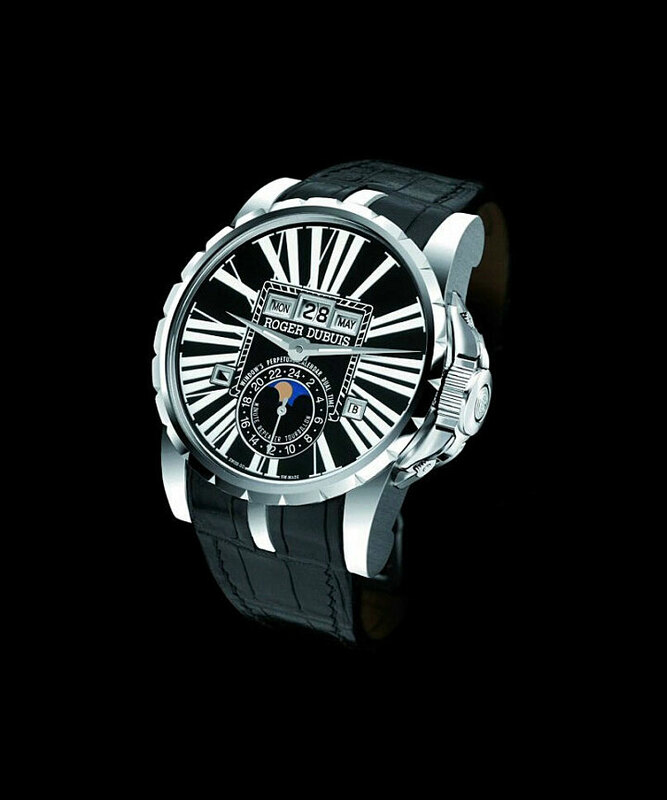 The movement in the Roger Dubuis is an absolute horological masterpiece. A watch with this kind of movement is known as a Perpetual Calendar because once you set it correctly, so long as you keep it wound, it will go indefinitely without manual intervention. On the bottom right hand corner of the movement pictured above you see a leap year indicator and on the bottom left side you see an Day-Night indicator. In the center you a see a Moonphase indicator. The movement below has multiple automatic winding rotors. 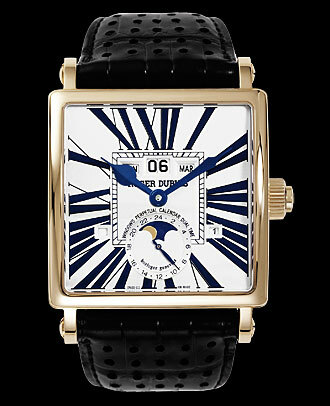 The watch below has the same movement and user interface but is a square shape.